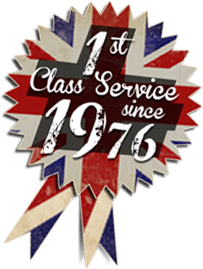 For over forty years, Chris Bennett (Heavy Haulage) Ltd has been a name to trust in the heavy and general haulage industry. With a wide range of experience in transport, we can provide your company with a top quality service whatever sector of industry. The size of our ever expanding fleet and our expertise in handling abnormal loads makes Chris Bennett a first choice for special projects. At Chris Bennett we understand the importance of transporting goods, machinery and other abnormal loads. Our specialist heavy haulage transportation fleet can collect and deliver your load to or from any UK port, site or storage facility. Transporting everything from piling and underpinning to plant and machinery to aircraft parts, our team have a vast range of experience dealing with all types of loads. We offer haulage to many sectors across British industries including transportation of manufactured goods from the factory to the customer or to the port so that it’s ready for export. Our experience also allows us to transport power and utilities equipment such as large rotors or heavy plant. With that in mind, we have specialist plant and machinery trailers enabling us to transport and move your equipment with weights up to 27.5 tonnes, via our larger rigid flat beds and articulated flatbeds. These trailers also give us the capacity to take on heavier loads such as steel castings and crane sections for heavy engineering. As holders of the Silver FORS certification we can offer deliveries into one of London’s largest ever construction projects in the civil engineering and infrastructure industries, working with Crossrail and Tideway. Whilst Crossrail is dedicated to building London’s new railway, Chris Bennett also work with Manchester International Airport to aid them in the transportation of engines and parts to the aircrafts. We also offer haulage services to the construction industry helping them with the safe and secure transportation of underpinning for buildings and piling rigs. As well as assisting in the installation of rigs, Chris Bennett are well versed in the installation of ancillary site equipment for oil and gas plants around the UK. Each sector that we work with provides their own challenges and issues which our knowledgeable team are on hand to assist with. We provide competitive quotes to all of our clients and work hard to find the best option for your project. Chris Bennett (Heavy Haulage) Ltd are available to supply you with helpful, friendly and experienced advice. Call us today on 0161 406 8466 and let us provide efficient, timely transport for your business.